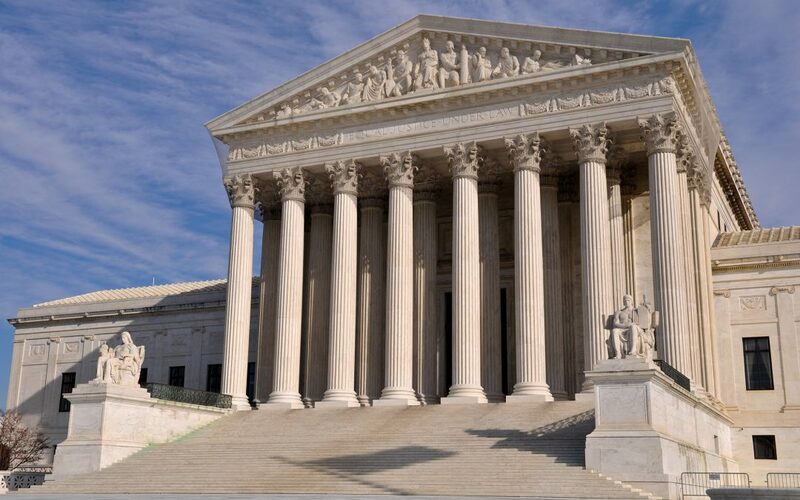 WASHINGTON – A Vanderbilt Law School professor said on Wednesday that liberals were wrong to rely on the Supreme Court for progressive decisions, insisting the court was an inherently conservative institution. Ganesh Sitaraman, Vanderbilt Law School professor, said the most progressive option would actually be to limit the power of the Supreme Court. “To the extent that liberals believe that the Supreme Court are an achievement of the substantive and moral goals that they believe are important, they are wrong,” said Sitarman. “If one looks around the world, most constitutional courts are created not because founders want to protect the vulnerable or advance a progressive agenda.” He said courts are usually used to protect the powerful and that historically progressive decisions like Brown v. Board were actually reached in order to advance a Cold War agenda. “A progressive agenda on the Supreme Court has to be one that’s focused on power, not personality, and taking power away,” said Sitaraman. The comments came at a talk at the think tank New America, where several experts gathered to discuss the composition of the Supreme Court. This discussion followed the recent contentious confirmation of Justice Brett Kavanaugh to the Court. “This is a big threat going forward for the court,” said Hug. Other topics at the discussion included recent proposals by Democrats to pack the court once they get back into power and mandatory 18-year terms instead of lifetime appointments for justices. “I’m opposed to court-packing and term limits, but I’m not opposed to talking about it,” said Amanda Frost, American University Washington Professor. She preferred to focus on reforming the way the Supreme Court votes, suggesting greater majorities than 5-4 for overturning precedent. Others suggested that the composition of the court was the problem. “We don’t need necessarily elite educated appellate justices from Harvard or Yale packing the court,” said Robert Bauer, NYU School of Law Professor. Frost agreed and thought that the former positions of appointed justices were too uniform. Many current justices used to work in the executive branch. “I would love to see a court that’s more diverse in its background, including trial laws, and I’m sure trial courts would like that as well,” Frost said. Bauer also suggested that Supreme Court arguments be televised. “It doesn’t seem to me there’s a reason that the public wouldn’t benefit from hearing arguments,” Bauer said.